Hugh Foxcroft QC has considerable arbitration experience and practises as senior counsel in a civil practice involving appearances and paperwork relating to construction and commercial matters predominantly before arbitrators, special referees and in Supreme Courts. During the last twenty years his practice has been principally concerned with major commercial construction and civil engineering project litigation, appearing mainly in arbitrations and special references. Hugh Foxcroft regularly appears and provides legal advice in proceedings related to major projects in Australia and overseas to principals, contractors, subcontractors and professional advisors. Representative projects include the Pluto (WA) and Ichthys (NT) LNG projects, Lane Cove Tunnel (NSW), Crown Casino (Vic), Victorian Hospitals Cogeneration Project, Melbourne City Link, Victoria Regional Fast Rail Project, Geelong Road Widening Project, Eastlink (Vic), the Spencer Street Station Redevelopment, the Bakun Hydro-power Project (Philippines), the Stephensons Road tip Cranbourne (Brooklands Green methane escape), the Mindarie Waste Recovery Facility (WA) and the Trawalla rail crossing contribution proceedings (Vic). Significant arbitration, construction law and adjudication cases in which Hugh Foxcroft QC has appeared include Command v Fletcher  VSC 235, Boral Resources (Vic) Pty Ltd v Robak Engineering & Construction Pty Ltd  2 VR 507, Manningham City Council v Dura (Australia) Constructions  3 VR 13, Anaconda Operations v Fluor Daniel  16 BCL 230, Rejan Constructions Pty Ltd v Manningham Medical Centre Pty Ltd  VSC 279, Australian Rail Track Corporation Ltd v Leighton Contractors  VSC 189, HIA Insurance Services Pty Ltd v Davey (2003) 7 VR 512, BMD Major Projects Pty Ltd v Victorian Urban development Authority  VSCA 221, Skilltech Consulting Services Pty Ltd v Bold Vision Pty Ltd  TASSC 3, IMC Aviation Solutions Pty Ltd v Altain Khuder LLC (2013) 38 VR 303 and H Buildings v Owners Corporation  VSC 802. 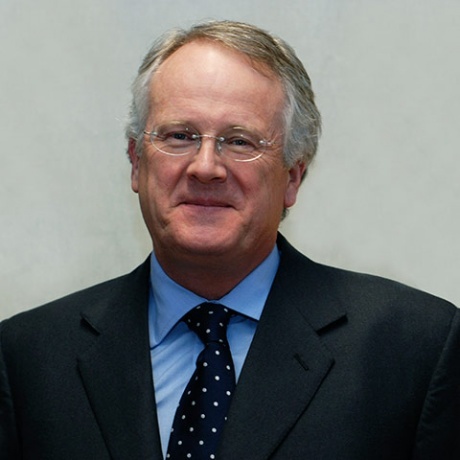 Hugh Foxcroft was appointed Senior Counsel (SC) in 2000, altered to Queens Counsel (QC) in 2014. He is admitted to practice in all Australian jurisdictions. As a Grade 1 arbitrator, Fellow and former National Councillor of the Institute of Arbitrators & Mediators Australia he has extensive experience in the conduct of arbitrations, including international arbitrations. Hugh Foxcroft QC is a member of the Construction and Infrastructure Law Committee of the Law Council of Australia, Business Law Section and was a long term member of the committee of the Building Dispute Practitioners' Society, serving as President from 1995 to 1997. An accredited mediator with the Victorian Bar, Hugh Foxcroft QC has mediated many proceedings referred out to mediation by Judges in charge of the TEC List (formerly Building Cases List) in the Supreme and County Courts of Victoria.